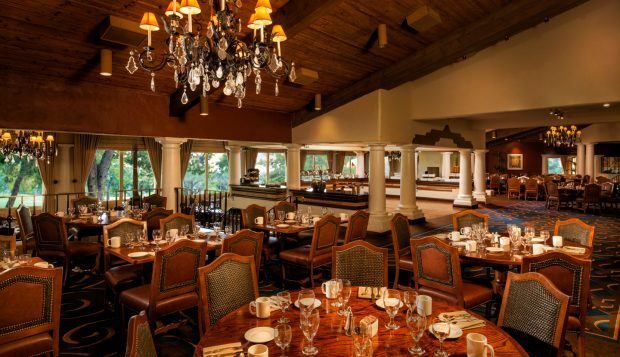 Enjoy a festive and memorable Christmas meal at the Scottsdale Resort at McCormick Ranch. Gather family and friends together for a festive and memorable Christmas without the cooking and clean-up hassle at the Scottsdale Resort at McCormick Ranch this holiday season. On Monday, Dec. 25, from 10 a.m. to 3 p.m., The Scottsdale Resort will host its annual Christmas Day Buffet that will delight every palette and meet every dietary need. Held in the resort’s spacious and welcoming Vista Verde Restaurant, choose among a carving station, omelets made to order, a sweet and savory crepe station, and more. Starters range from oysters and smoked Scottish salmon to sushi, a variety of salads, and assorted meats and cheeses. Delectable mains include grilled chicken breast with cilantro, corn and blistered tomato; a salmon bake; coconut lobster tails in mango butter sauce; roasted root vegetables; and asparagus with sautéed mushrooms and parmesan. Finish things off on a sweet note with dessert. Choose among a vast selection of classic apple and pecan pies, a traditional yule log, freshly baked pastries, and cakes, including cheesecake, carrot cake and chocolate cake, just to name a few. Click here to view the full Christmas Day Buffet menu. To make reservations, please call 480-596-7521.